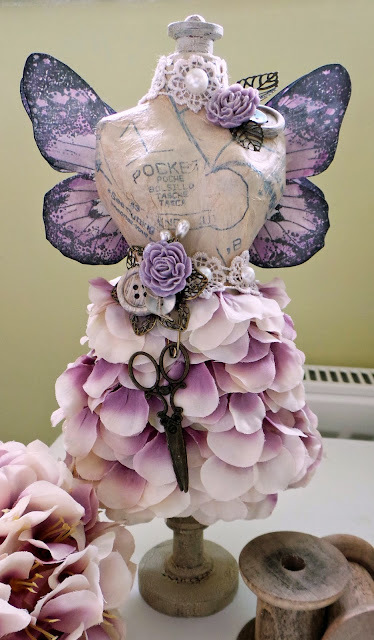 The theme at Unruly Paper Arts this month is MMM so I've made a Mixed Media Mannequin for my contribution! Full step-by-step tutorial is over on the Unruly Blogazine. Enjoy! Gorgeous, Katy! I love how you made the dress out of the flowers. So beautiful!